Santa Barbara Ayurveda & Pancha Karma - Corinna Maharani, C.A.P. 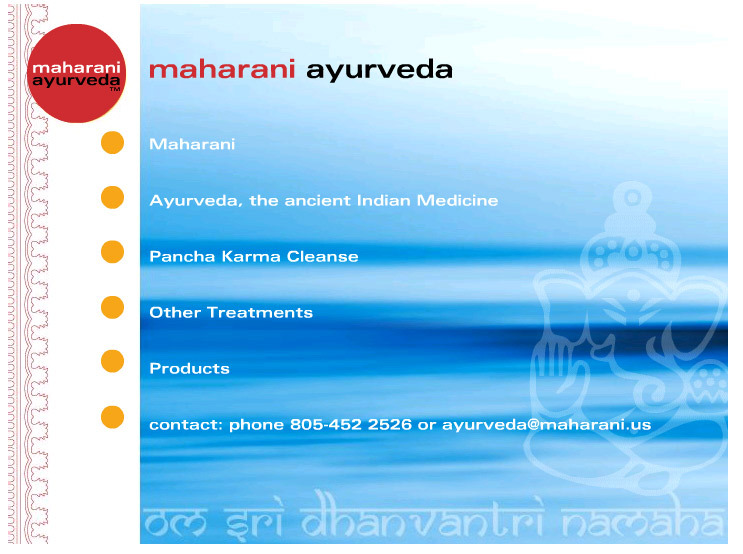 Corinna Maharani is a graduate of the Ayurvedic Program at the Maharishi International University, Fairfield, Iowa. She is well educated in the field of Ayurveda and has studied Ayurvedic medicine for over 12 years. 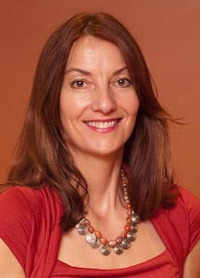 She has worked with renowned Ayurvedic Physicians in both the US and Germany and has 10 years of clinical experience. Corinna offers the complete, life transforming cleanse of Pancha Karma here in Santa Barbara. Pancha Karma uses different body-work techniques such as massage, oil treatments, herbs, diets and a wide variety of wonderful Ayurvedic therapies to rejuvenate the body on a cellular level. Individual Ayurvedic treatments, such as the traditional massage, herbal steam bath, and the shirodhara are available as well as Ear Candling. Corinna offers rejuvenative workshops and Ayurvedic training classes. She also offers detailed Ayurvedic consultations in which a person's body-type are discussed and an herb, treatment and lifestyle regiment is designed.